Kobe Bryant will always be one of the first names you associate with basketball in Los Angeles. But before his star-studded career with the Lakers, Bryant played his high school ball in suburban Philadelphia. And he still maintains his Philly roots. 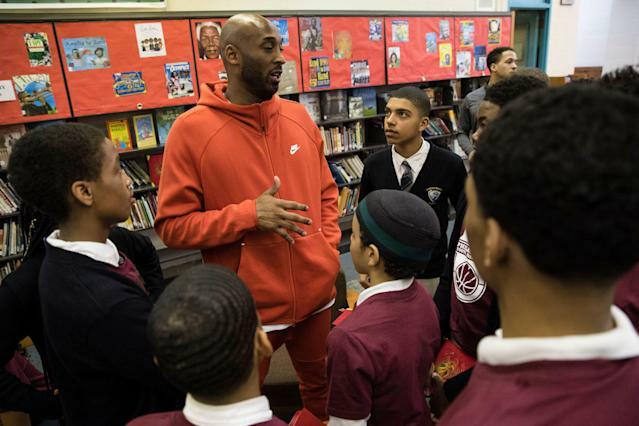 Bryant is a diehard Philadelphia Eagles fan and was asked about the team during an event at a Philadelphia high school on Thursday night. Bryant recalled a funny interaction he had with quarterback Nick Foles. Bryant says he recently ran into Foles, who led the Eagles to their first-ever Super Bowl last year with 373 passing yards and four total touchdowns, in California. Foles, known for his modesty, felt the need to introduce himself to Bryant. With Carson Wentz returning from injury in Philadelphia, Foles signed an $88 million contract with the Jacksonville Jaguars earlier this month in free agency. NCAA tournament Day 2 recap: Has Cinderella emerged yet?